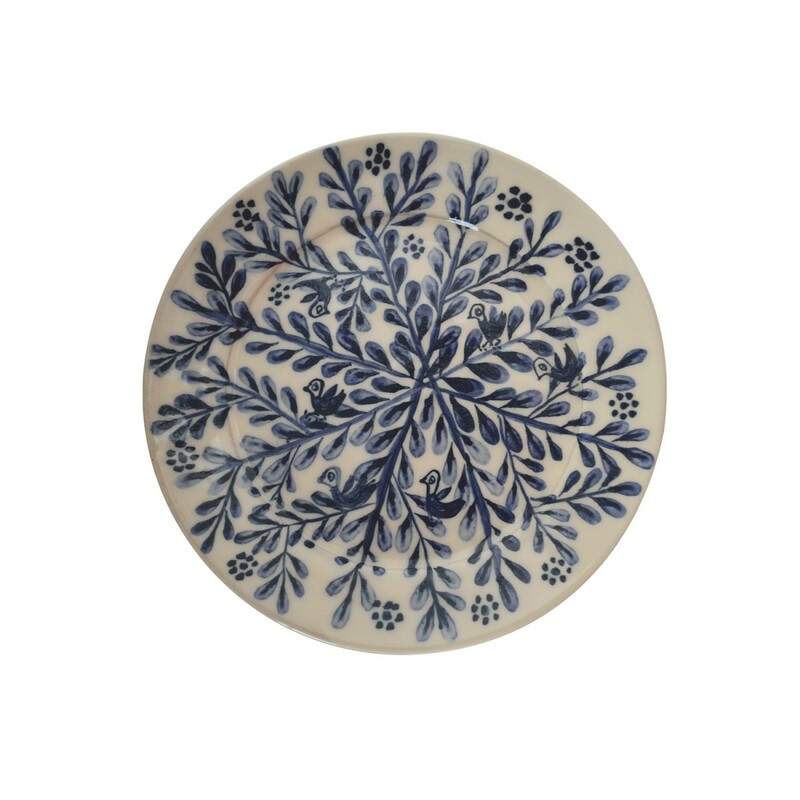 A lovely tea plate to impress during afternoon tea gatherings. 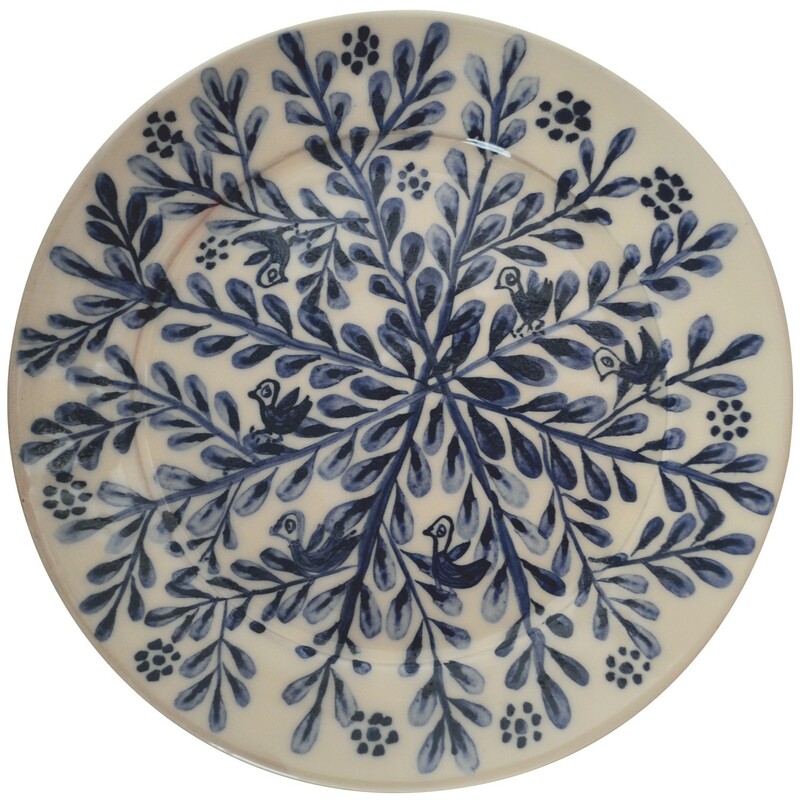 The pattern with the centered branches and the birds is hand painted in a lovely Greek Island and it is rare & unique. 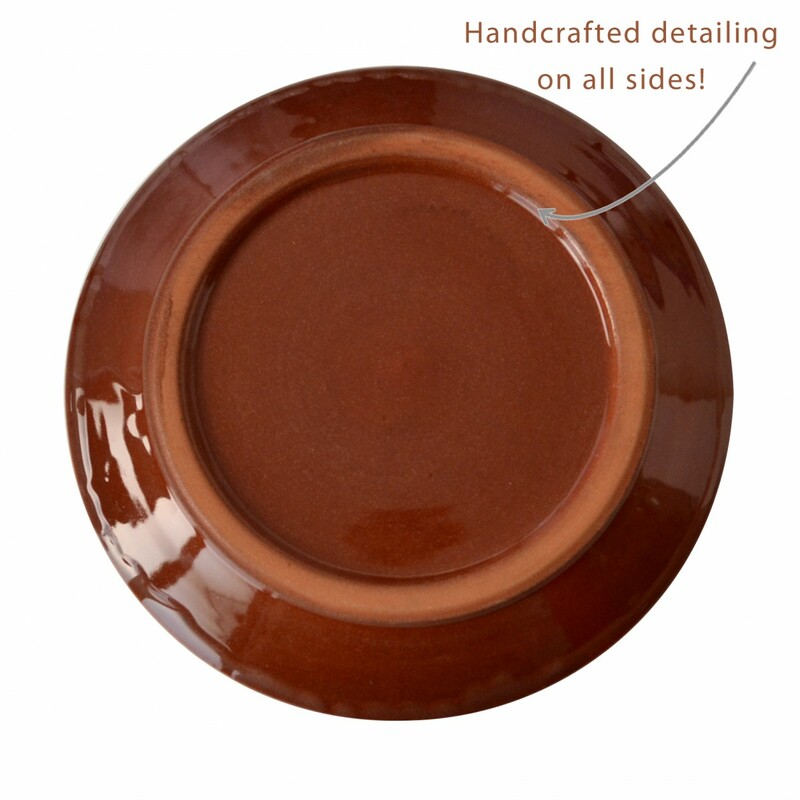 This Ceramic Plate is an Internet Exclusive Piece! 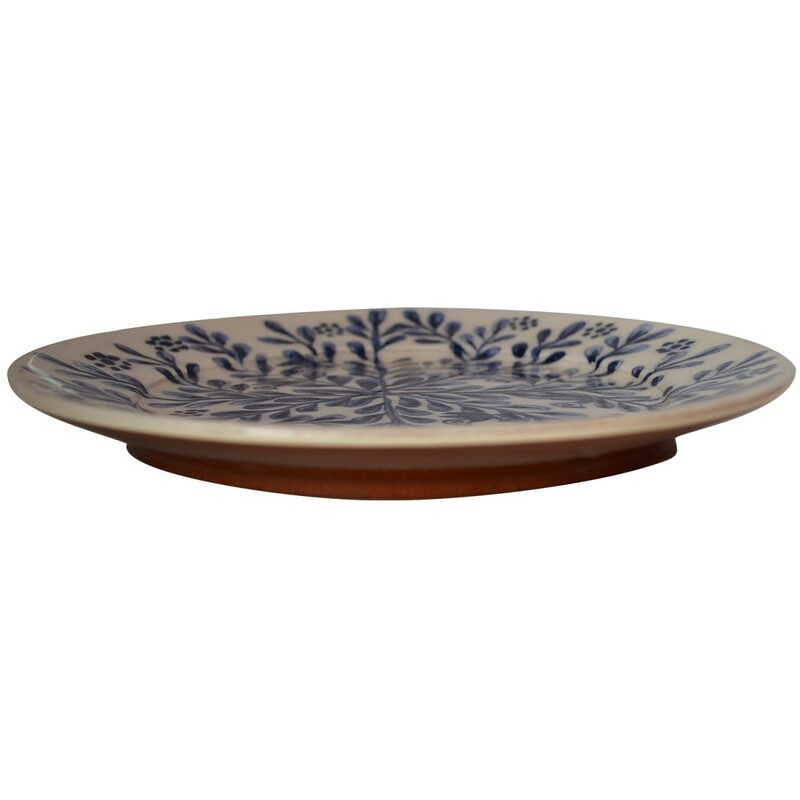 Similar pieces can be found in the Craftsman workshop, located in a small Village in a Picturesque Greek Island. It is the result of 3 generations working together: The son and grandson create the shape on the wheel. The Grandmother hand paints with "ploumistari" (old traditional drawing tool rarely used today). d: 23 cm | d:9.1"
Do not use to cook or heat food. Hand wash in hot water with mild dish detergent.